When you're at work, you have to maintain a certain standard. Act a certain way, look a certain way, perform a certain way - that's the nature of the job. men's KEEN Utility 1006980 PTC water-resistant work shoes are certain to help you look good, feel good, and ge ... (see full details) (see specifications) #KEN1006980. When you're at work, you have to maintain a certain standard. Act a certain way, look a certain way, perform a certain way - that's the nature of the job. men's KEEN Utility 1006980 PTC water-resistant work shoes are certain to help you look good, feel good, and get the job done well. The low-cut uppers of this footwear are fashioned from black leather. The material is durable, and it cleans up easily. These chef shoes have already been treated for stain-resistance to keep you ready to work through anything. Just wipe them down to remove grime and keep yourself looking sharp. Leather flexes and bends for easy movement, so you don't have to worry about staying comfortable through the workday while in your workwear. Tie these black shoes up to find the right fit, and there will be no loose laces to get in your way - just a smooth, clean design. Water-resistance keeps the leather dry in light rain because wet feet are no fun at all. Neither are painful feet. A combination of contouring memory foam and shock-absorbing polyurethane were used to make the footbeds in these slip-resistant shoes. KEEN.Cush footbeds adjust as needed to give you comfort no matter how you move. Leather lining adds more flexible softness and durability to the design of the slip-resistant shoes. Lightweight EVA foam was compression-molded to create an airy midsole layers of this footwear. These cushion your steps and help diffuse stepping force. That keeps your steps a lot lighter when you’re working. Thanks to the stretchy medial side gores, these PTC shoes will fit comfortably even when you’re working really hard. The side gores move and stretch as needed to help you maintain a great fit during each step you take. KEEN.Grip outsoles hold it all together. These soles on these stain-resistant shoes deserve the name because they’re made for gripping strength. Non-marking rubber meets or exceeds ASTM F1677-96 Mark II standards for non-slip footwear. They are also durable against corrosive oils. Soles that won’t slip keep you a lot safer on wet floors, icy paths, and in any hazards stepping situation. When you need to get the job done well, turn to KEEN Utility 1006980 PTC non-slip shoes. So order your pair from the Working Person's Store today. Your feet will thank you! These are the first good pair of work shoes I've come across. I'm sorry (for me) it took so long to drop my resistance and spend the money with Keen, but these shoes saved my feet. I have problems with standing and walking all day. I have a wider front of the foot, and a narrow heel. My arches are flat. Try finding any shoes that work, even with $20 insoles. Blisters, bunyons...I went to a store that carries a few different kinds. I knew as soon as I put them on. I still had to put in some better insoles (for my feet). Most people wouldn't even have to think about it. I am wearing them after a year 4-5 days a week in a restaurant and a meat Department, and it's been about a year. I can still wear them comfortably and get a few more months. The tread, like a car tire, is starting to wear a little. Good quality in and out. I feel that this company hasn't forgotten that one shoe does not fit all. I am not very heavy..5'8", 145 lbs. A chef that I know is over 200 lbs and his shoe last a year or so. Highly recommend these Keen shoes. Thank you folks for being here. My feet love these KEEN shoes. Tried many different brands of non slips for Restaurant work. I placed to much emphasis on value. With the amount of time we spend on our feet, you should invest in a good quality shoe. Your feet will thank you! 0 out of 4 people found this product review helpful. Working in the food service industry I've tried nearly every type of non slip shoes. I sincerely wish I would have never tried these. Not only have they already started to wear out (after having them for only 2 months) but my feet, legs and back kill me after every shift I work. I thought shoes for crews were the most uncomfortable shoes but I was mistaken. Wish I wouldn't have spent as much as I did. I'll be thankful when my crocs arrive. 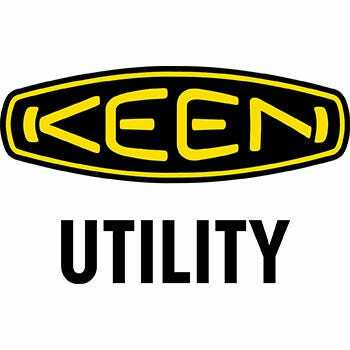 KEEN Utility 1006980 Men's PTC Restaurant Shoes is being added to your cart.